How do I download Twitter videos? 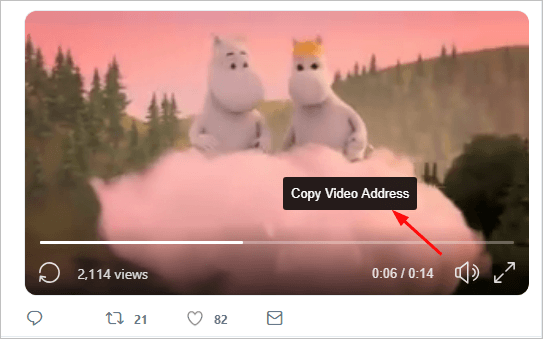 Here are two options for you to download Twitter videos. Read on and pick the way you prefer. You can download videos from Twitter with online tools. You may find various these online tools through the Internet. But keep in mind that select a safe and reputable one. Here we recommend you use downloadtwittervideo.com which owns a good ranking on Alexa. Right-click on the video to select Copy Video Address. 3) Paste the URL you just copy into the box. Then click Download MP4 or Download MP4 HD. The video would then be downloaded automatically. There are some extensions of browsers made to help you download videos from Twitter. Here we take Twitter Video Assist on Google Chrome as an example. 1) Go to the page of Twitter Video Assit on Chrome web store. 2) Click Add to Chrome. 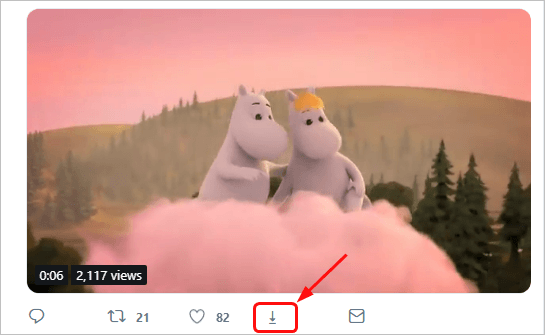 3) Go to Twitter and locate the tweet which contains the video you wish to download. Then click the download ⬇ button. If you don’t see the download button, make sure the extension is installed successfully and refresh the Twitter site. The video would then be downloaded onto your computer automatically.